Our Christmas decorating is nearly finished and then we will start to plan our Christmas menu and Christmas baking. 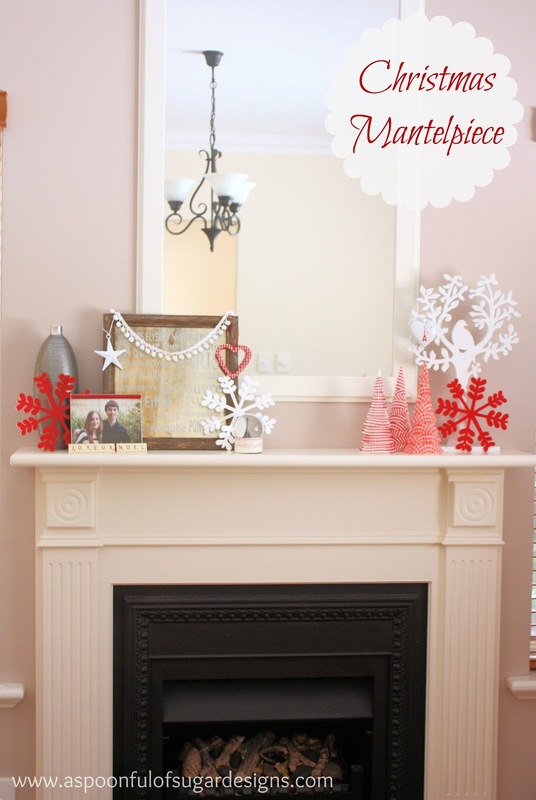 A few decorations and items from around our home made our mantlepiece more festive. 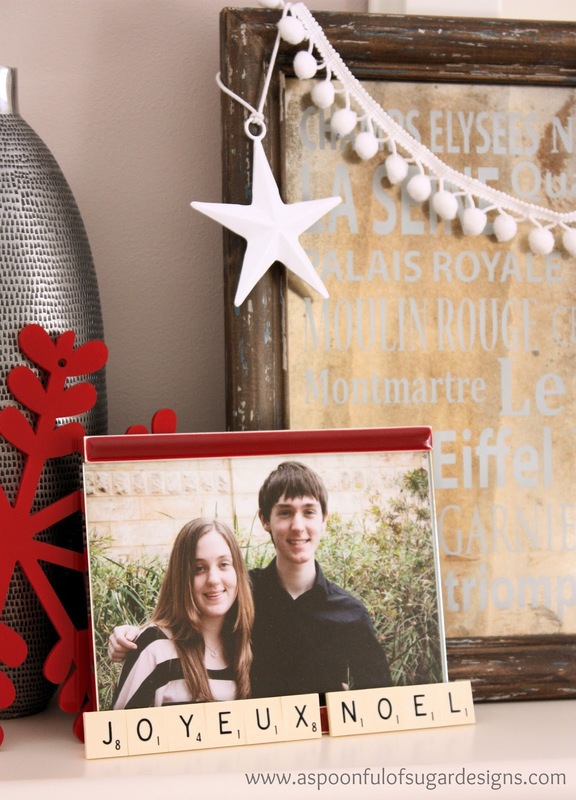 Scrabble tiles spelling Joyeux Noel were balanced in front of a favourite family photograph (Photo Credit: Sharon Manning Photography). White Pom Pom Trim was used to decorate a French Subway artwork. 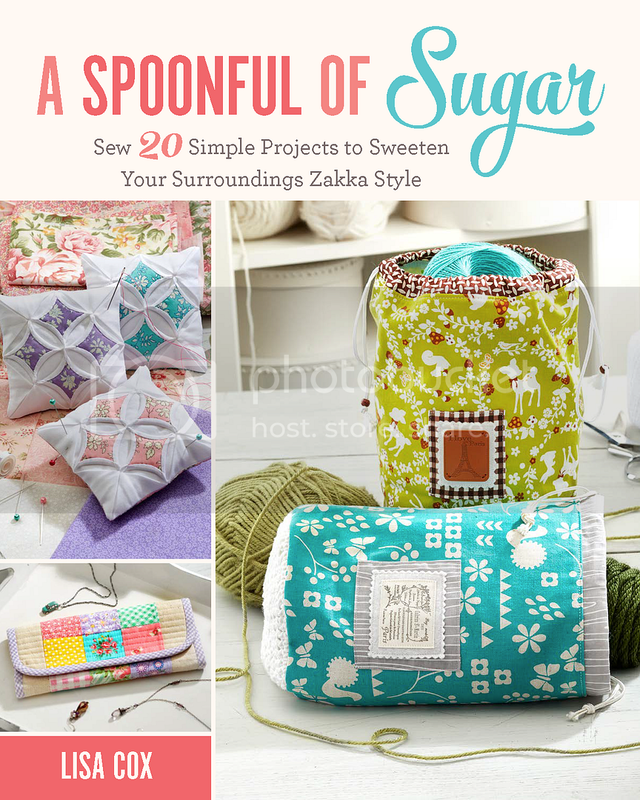 A metal star and gingham heart were added. 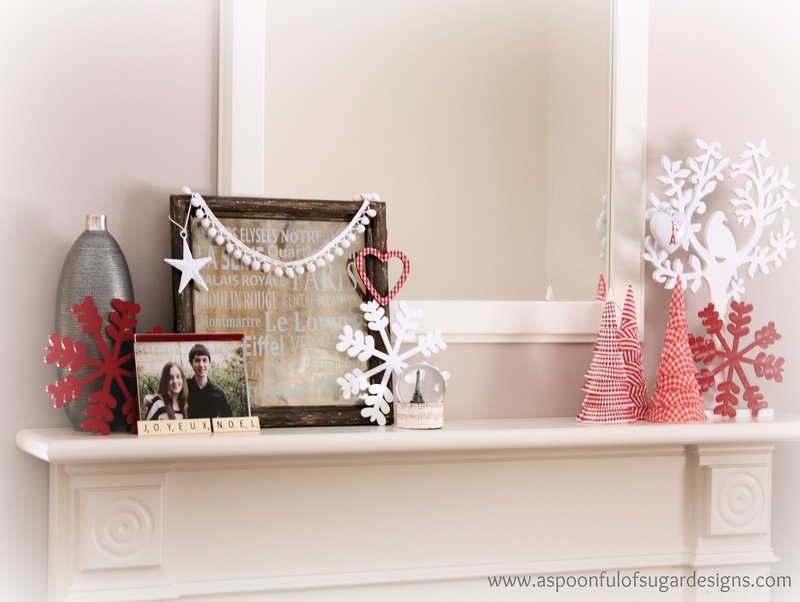 Pom Pom trim looks so festive don’t you think? 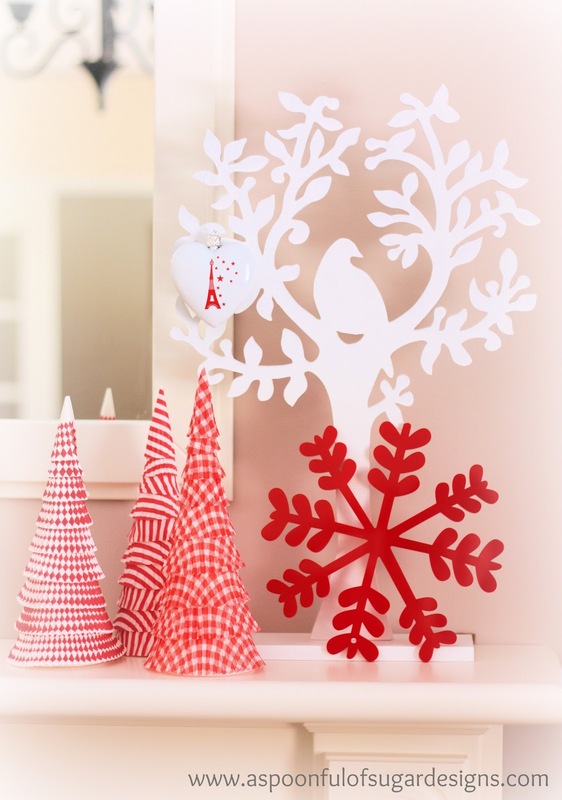 We added a few large acrylic snowflakes that we bought on clearance last year. I love the white tree with the bird in it! The whole decoration is beautiful. It’s a pity we don’t have a mantel (yet). Oh my decorations are in a sad state. My new puppy has un-decorated my red, white, and blue tree that I have had since 9/11. Poor tree will have to be retired I’m afraid. I will have to re-think of a theme for next year. I guess it was time. I shall look at the clearance ornaments at the end of this year and spend the year making new decor for the tree for the next season. Sad but true. Naughty puppy!! Atleast my mantle still looks nice LOL. How pretty. Hope you enjoy your Christmas baking and cooking. Lovely! I love how clean and simple it all is! I’ve for to get ahold on my decorations, right now it looks like Christmas exploded all over my house! So elegant and lovely! It works so well with the rest of your Christmas decor throughout your house. We try to tie the decorations on our mantle with our evergreen wreath, mainly with red and green. Soo Jealous of your mantle. I long for one of these so badly but they just dont come with homes anymore.